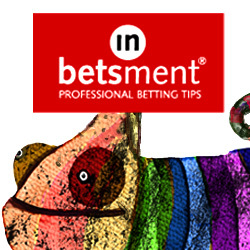 As part of Honest Betting Review’s series on making betting terms and different types of bets easier to understand to help the inexperienced get more from gambling, we are looking at the lucky 63 bet, and how to go about placing one. Like the lucky 15 bet and the lucky 31 bet, the lucky 63 is a culmination of many different bets, but in this instance these are based on six selections. As you might expect, as the number of selections in a ‘lucky’ type of bets increases, so do the number of combinations that can be brought up. How do you place a lucky 63 bet? As you may have guessed if you have read the Honest Betting Review breakdowns of lucky 15 bets and lucky 31 bets. placing a lucky 63 bets starts with placing an accumulator – a six-fold accumulator for this particular type of bet – which combines all of the selections for the greatest possible odds. Next up you place six five-fold accumulators , omitting one of your six selections from each. These bring together every possible combination to provide some very respectable odds if you make the right selections. This is followed by placing 15 different four-fold accumulators, which obviously cover a lot of possibilities. If you have researched your selections and are confident they will come in you should see some joy from the four-folds. To round things all off, place 20 trebles, 15 doubles and six singles. This multitude of bets offers the best possible coverage of your six selections and will bring in winnings if your predictions are correct. When do you place a lucky 63 bet? A lucky 63 bet offers such a spread it is particularly popular with football fans looking to cover all the bases by bringing together their selections to get the longest odds possible. The great thing about a lucky 63 bet is that even if a couple of your selections fall short you are still likely to have a happy ending if four out of the six prevail, as so many bets in the lucky 63 bet will cover the winning predictions. How do you win with a lucky 63 bet? One correct selection or more is guaranteed generate a return. Use a betting calculator to figure out which selections would have to go your way to make you a healthy profit – this will allow you to play around with various selections to get a feel for the lucky 63 bet before placing one. Like the lucky 15 and the lucky 31, the lucky 63 gets its name from the bonuses applied to it by bookmakers. If you succeed in getting all six predictions correct you will likely have earned yourself a nice healthy bonus on top of your returns. You are also likely to be paid a bonus if only one selection comes up short and if you end up with the wooden spoon by only choosing one winner. What is a lucky 31 bet? What is a Lucky 15 Bet? What is a Canadian Bet? What is an accumulator bet?